Ship has 3x Large CCC Rigs. This ship has survived since before the initial rig changes, and then through the FAX conversion. This ship has survived countless battles, and potentially been present at some of the most historical moments in the history of New Eden. 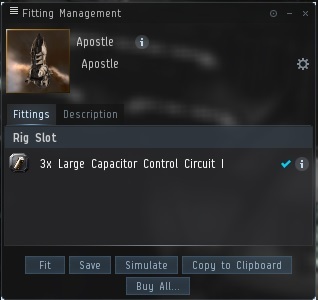 I'm curious as to what interest there may be for this very limited piece of eve history.